Today’s blog is written by our tame veterinary student Joanna Woodnutt. Jo is in her final year at vet school but still finds time to write our blog! Flea treatment and prevention is one of those subjects that causes a lot of confusion. At least once a day somebody will come into the vets with flea troubles, and we get weekly questions about flea products on the Facebook group… so it’s time to dispel some of the mystery around fleas! In this first blog, we will have a little look at what products are available to prevent and treat fleas. Over-the-Counter Products (OTCs) are those that you can buy from pet shops, pharmacies, and supermarkets. The price range for these products is huge and the products themselves are varied. Unfortunately with flea products, there is such a thing as ‘too good to be true’. Cheap OTCs, such as Bob Martin or supermarket own-brand products often don’t work. Some may have been diluted to make them cheaper to produce, or may be ‘repellents’ rather than killers. There are some good OTCs out there, and these will be discussed in the following section. There are two well-known good non-prescription products in the UK. These are products which contain ‘fipronil’ (such as Frontline + Fiprospot), and products which contain ‘imidacloprid’ (such as Advantage). Both of these products are spot-on treatments and work well Although there has been no evidence documenting resistance to fipronil products, some anecdotal reports suggest it doesn’t work as well as it did. The best you can give your pet is veterinary prescription products. These can often be prescribed by nurses, usually during a free consultation. 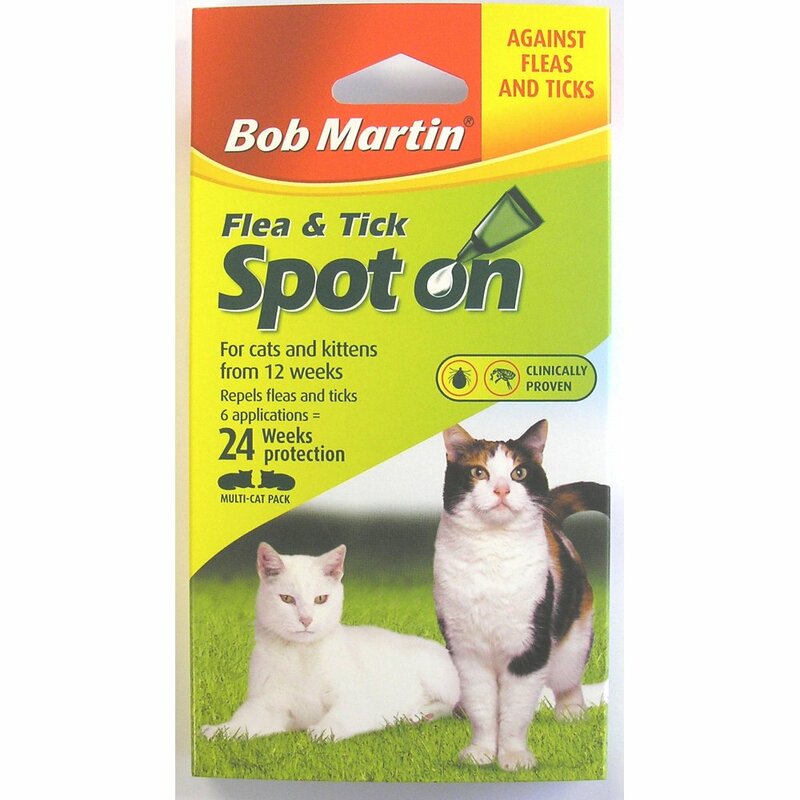 The great thing about getting a product from the vets is that they can examine your pet, ensure that fleas really are the problem, and then give you good advice on which product to use to best suit your situation. For instance, they may be able to suggest a spot on that also treats worms, or a flea product that also treats ticks, if these are a problem. Some common products used by vets are listed below. Stronghold is a spot-on like many flea treatments. It is good because it doesn’t contain much liquid, so is easier to apply than some. It is released from the cat into the environment and so can treat some of the immature stages of the flea. It also treats many types of worms. It needs to be applied monthly to work to full effect. Program is a flea contraceptive- it can prevent an infestation starting, but cannot control one that is already underway. It kills the immature stages of the fleas, but not the adults. To use Program effectively, all pets in the household should be on it. The advantage of using it is that it is an injection and it lasts 6 months.